Since 1969, Custom Concrete has focused on providing our customers with a superior finished product on-time and on budget. This responsibility extends beyond our client interactions and is a core commitment to our employees out on job sites and in our office. 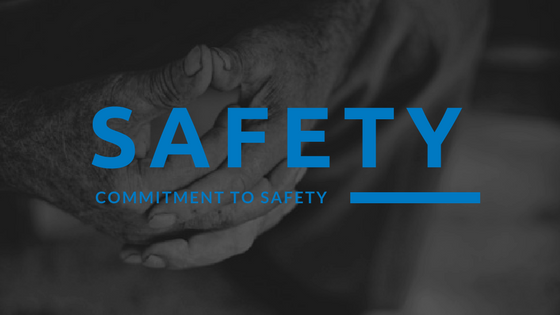 Our priority has been and always will be ensuring each employee finishes their work safely and goes home to their loved ones each day. No job is more important than the safety of a Custom Concrete family member. The safety and wellbeing of our employees is our number one priority. It is our belief that all worksite injuries can, and should, be prevented through ongoing education, training and coaching. Not only is the prevention of injuries good for all employees, but it’s also good for our customers. When Custom Concrete is hired for a job, we know it’s because of our reputation, work ethic, values and commitment to quality. Organizations who have too many work place injuries develop a much different reputation than those who actively discuss and train on the rules that keep us all safe. Our commitment to safety begins and ends with our supervisors. They lead by example and are responsible for educating new crew members as well as making sure all tasks associated with a job are done correctly and safely. Our supervisors know the importance of taking appropriate safety measures in large part because they have witnessed what happens when crew members get tired, forgetful or distracted. As part of our ongoing commitment to safety and job site education, we are asking all crew members to interrupt a task if it is not being managed in a safe and approved manner. Instead of criticizing or penalizing those team mates who did not take the necessary precautions, we’re asking our team to help them do the job right by showing and explaining the right way and why what they were previously doing was wrong. At the end of each day, we want to make sure every team member reaches their front door safely. For more information on Custom Concrete’s commitment to safety, please reach out to us via our Contact Form.